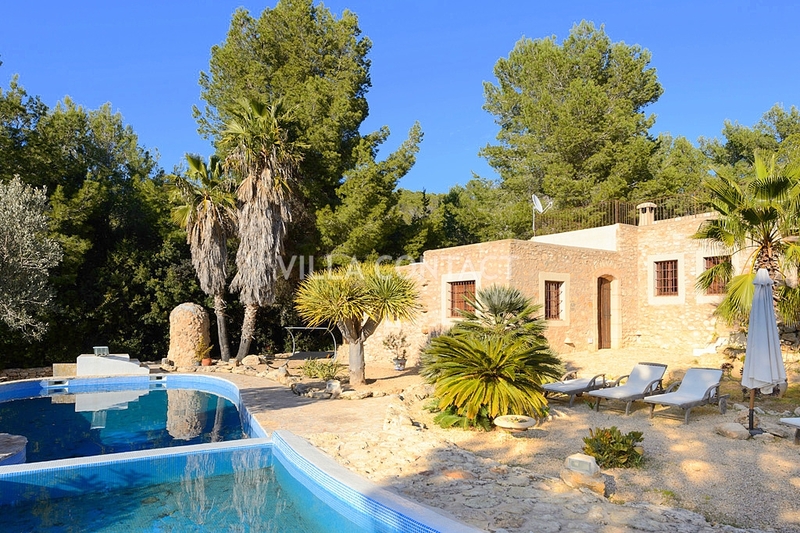 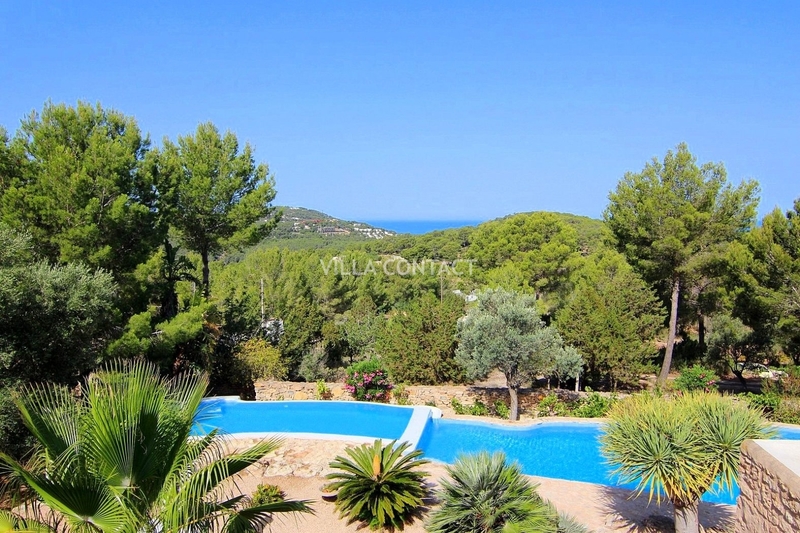 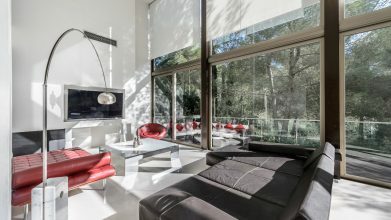 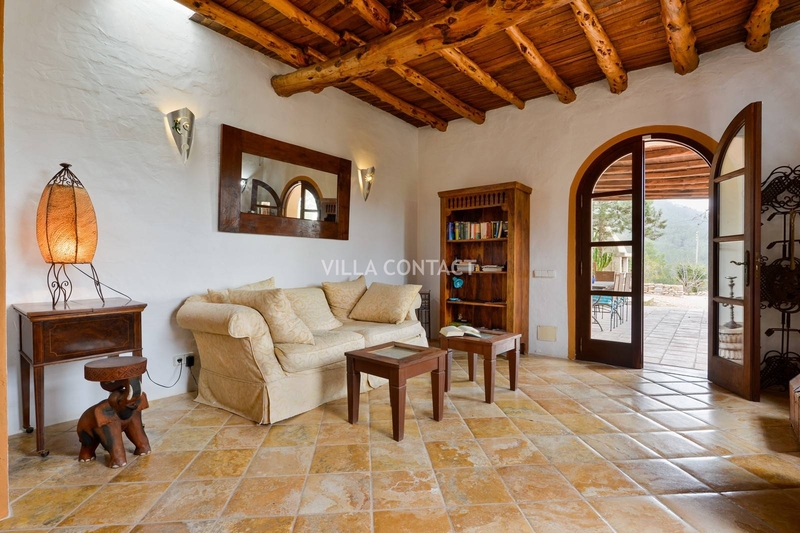 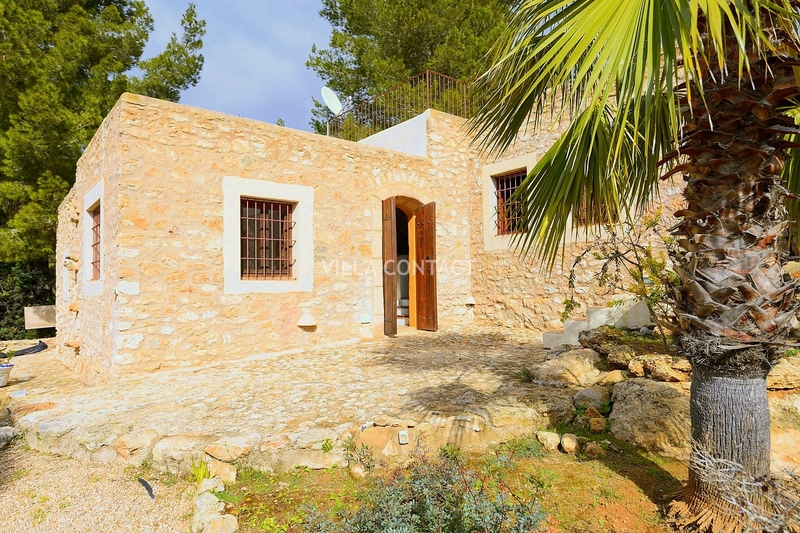 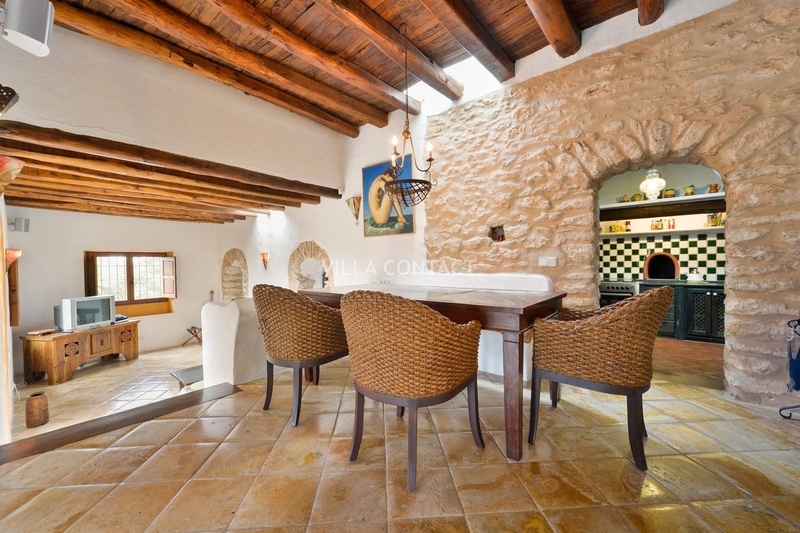 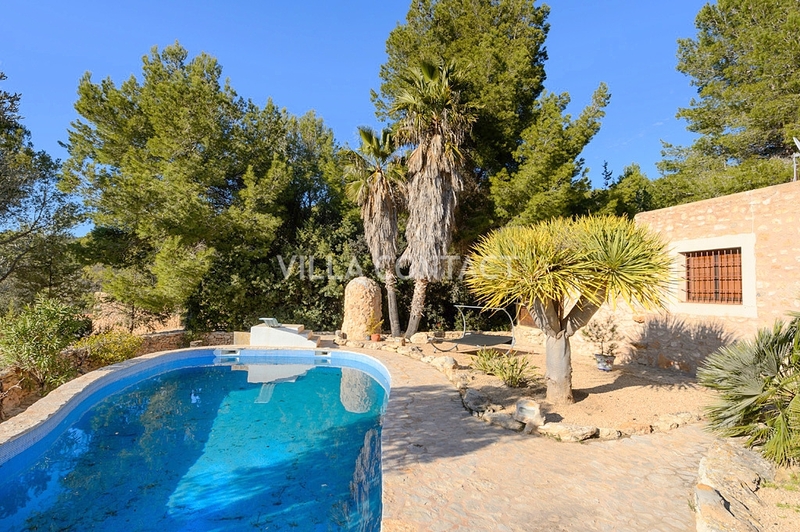 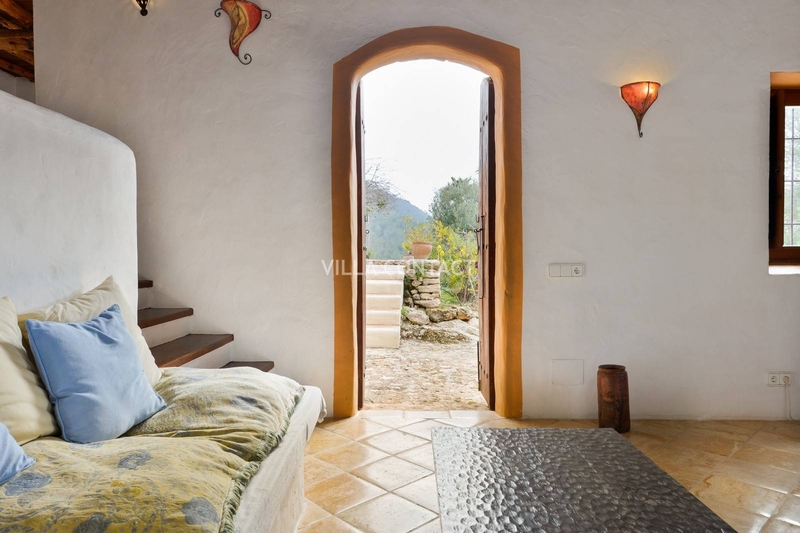 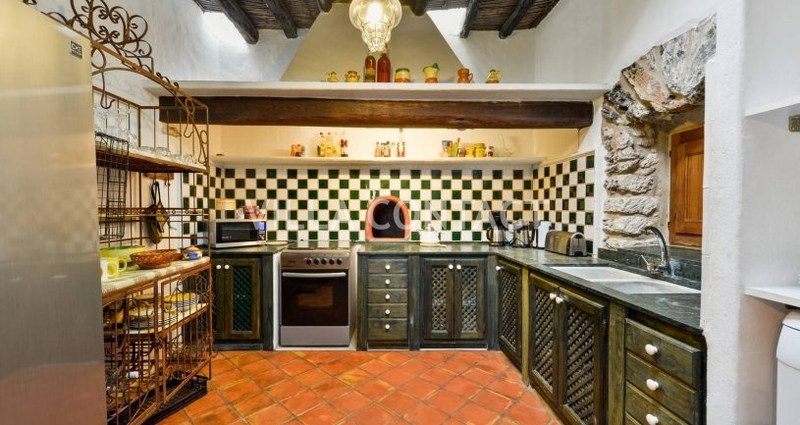 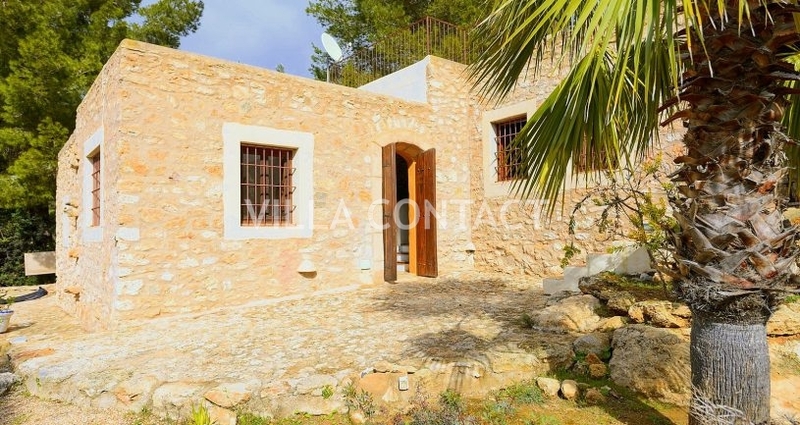 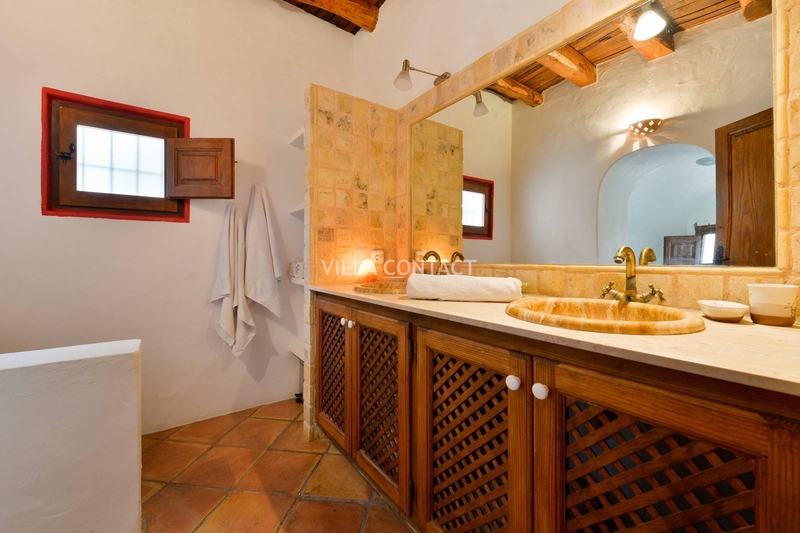 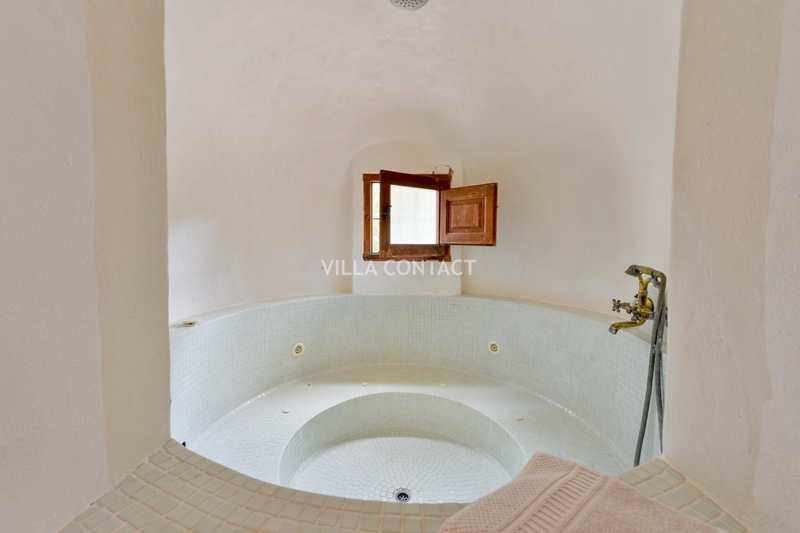 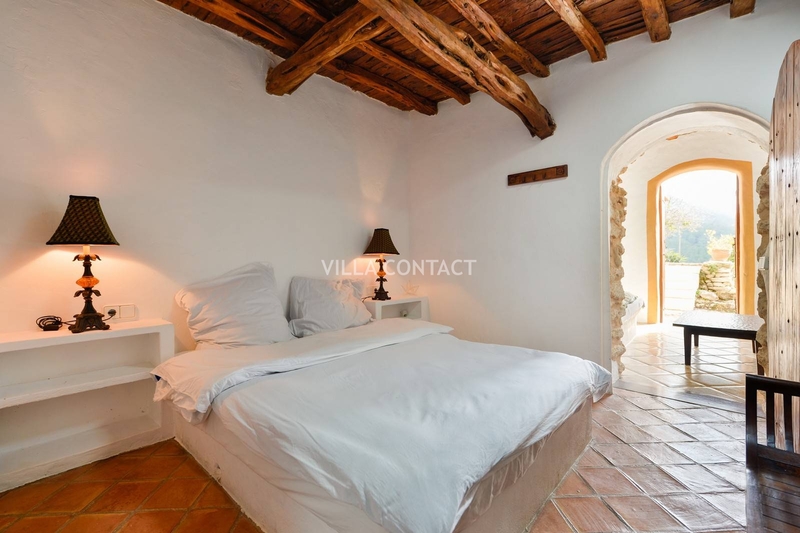 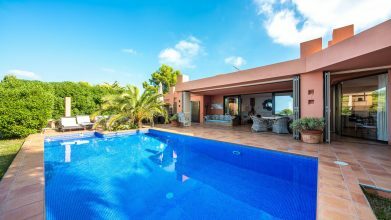 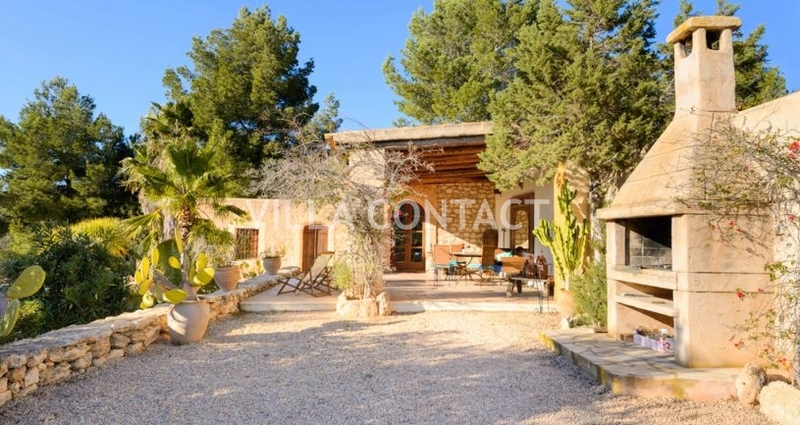 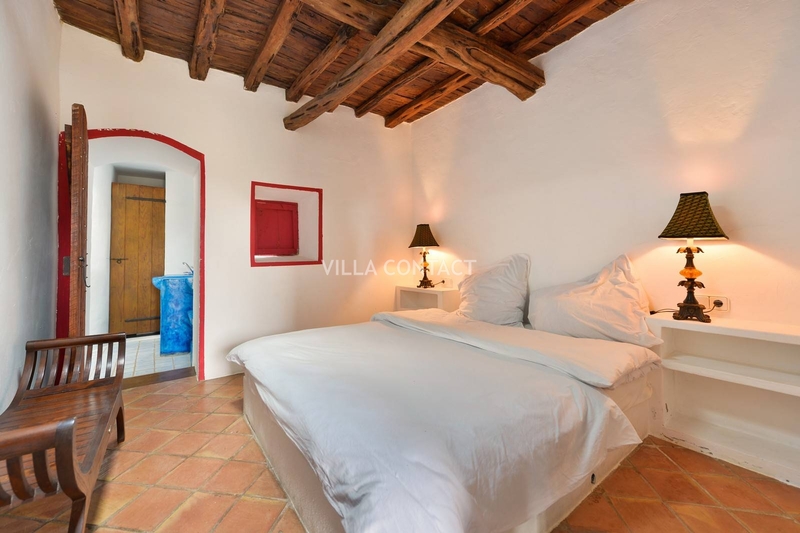 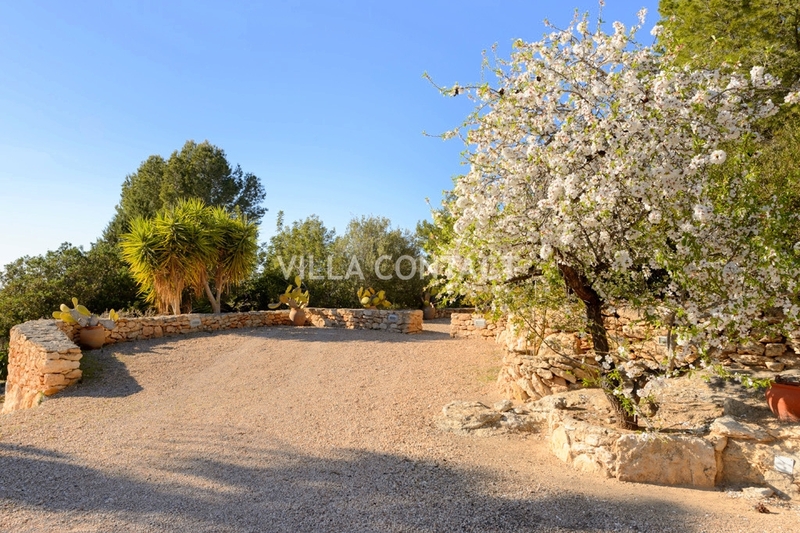 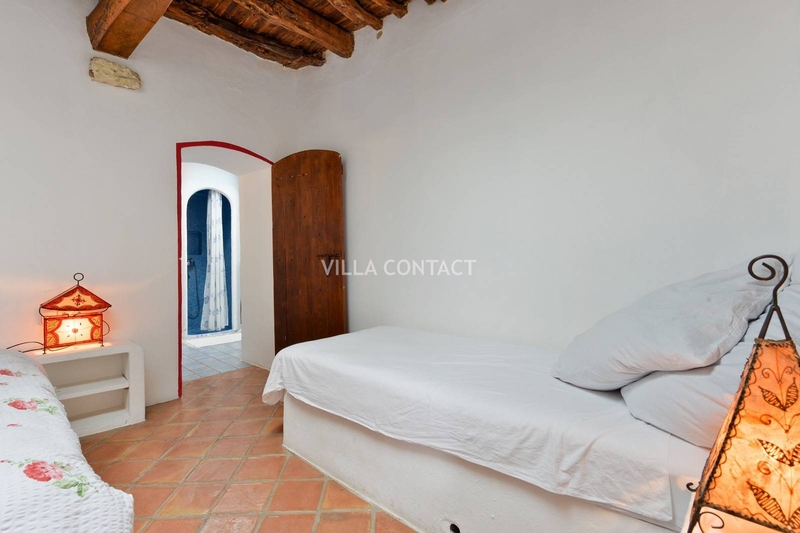 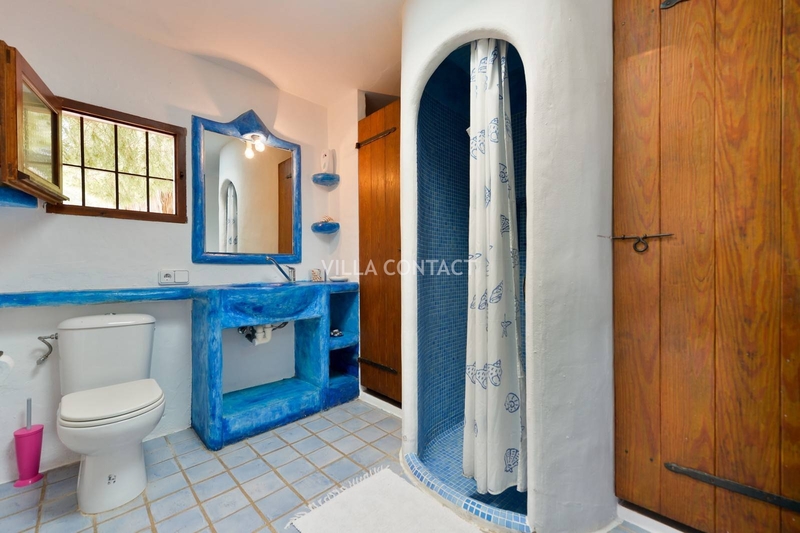 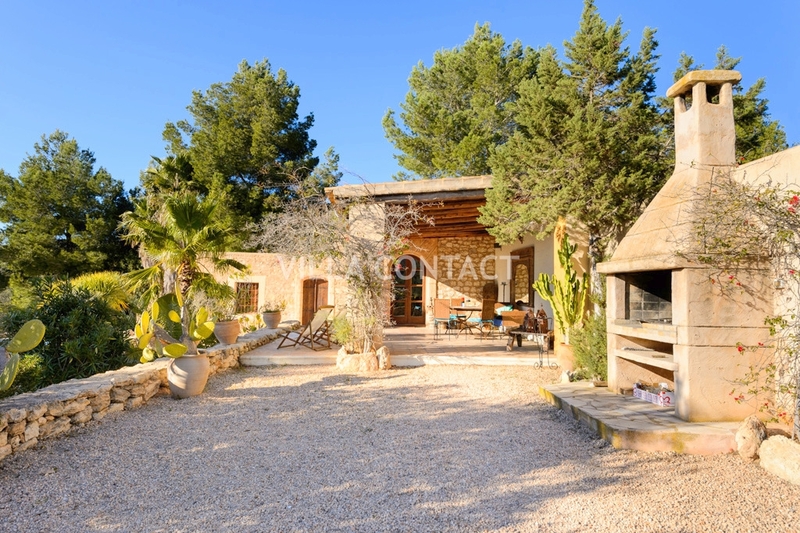 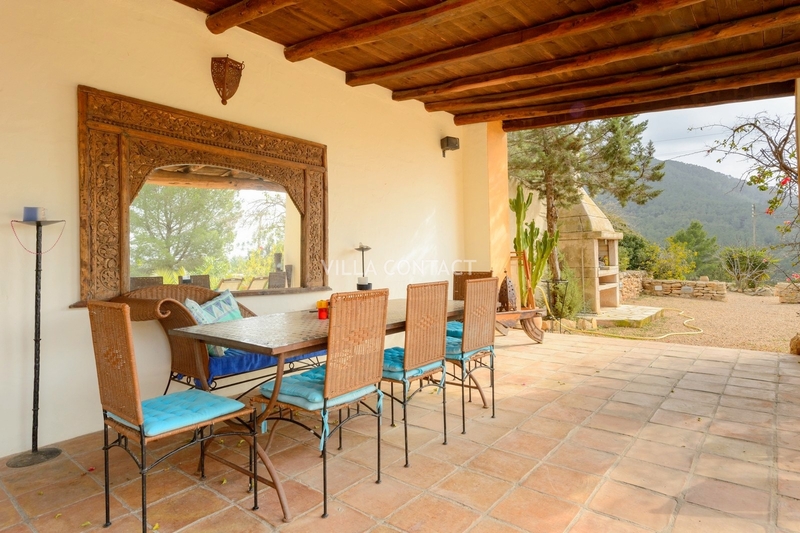 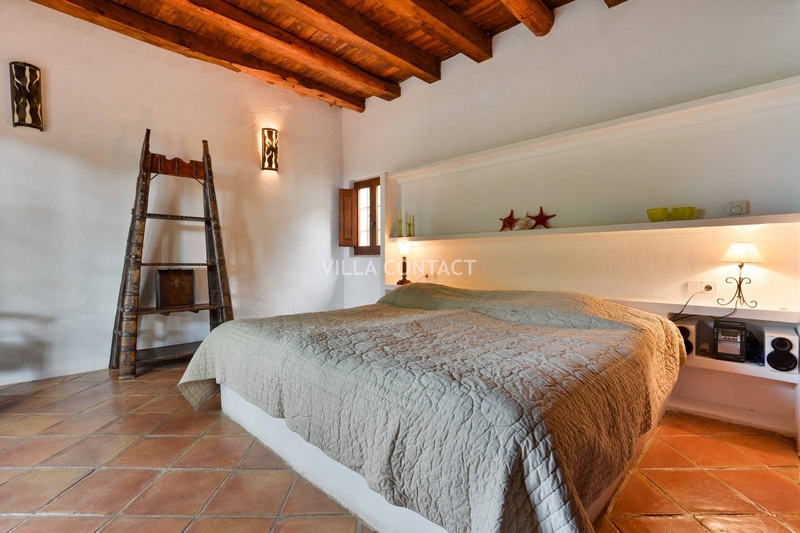 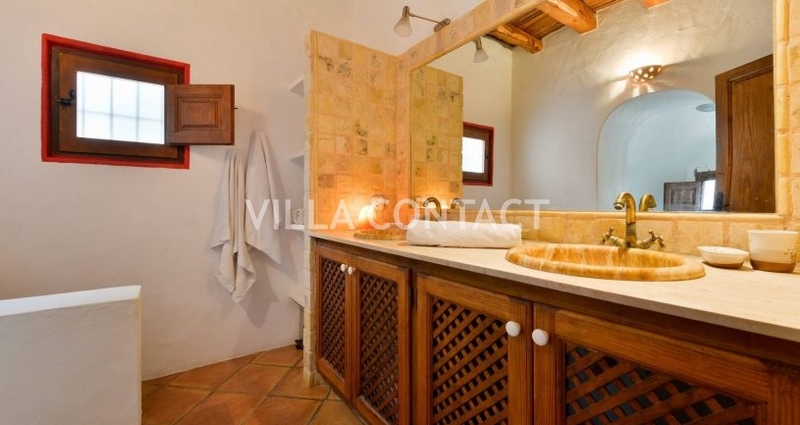 Authentic finca located on a wooded hillside near Cala Vadella with views of the sea and Es Vedra. 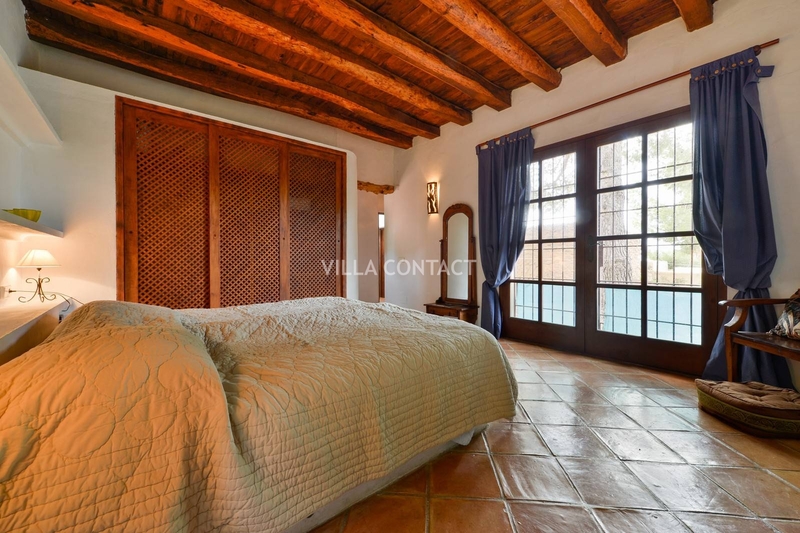 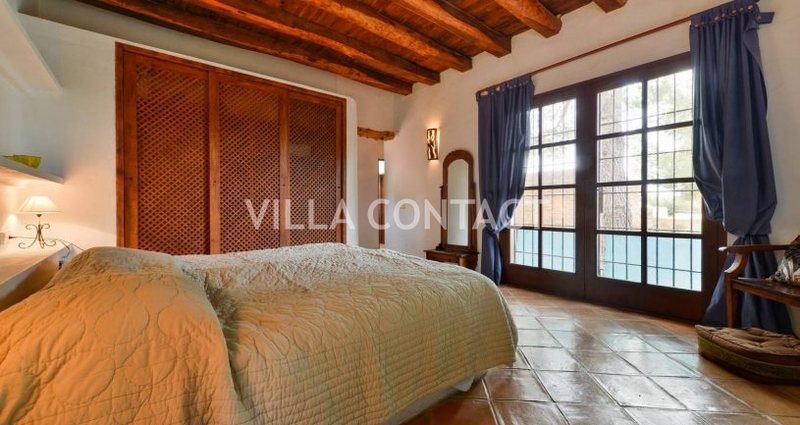 This charming property is distributed on two levels with the master bedroom and bathroom set aside from the living area. 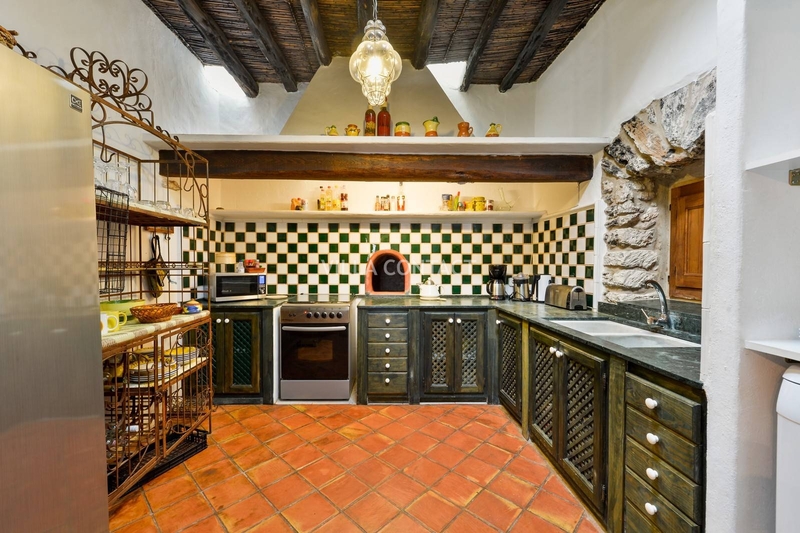 This countrysdie home has traditional features throughout the property, including sabina-beamed ceilings, exposed stone walls and an open fire place in the sittingroom. 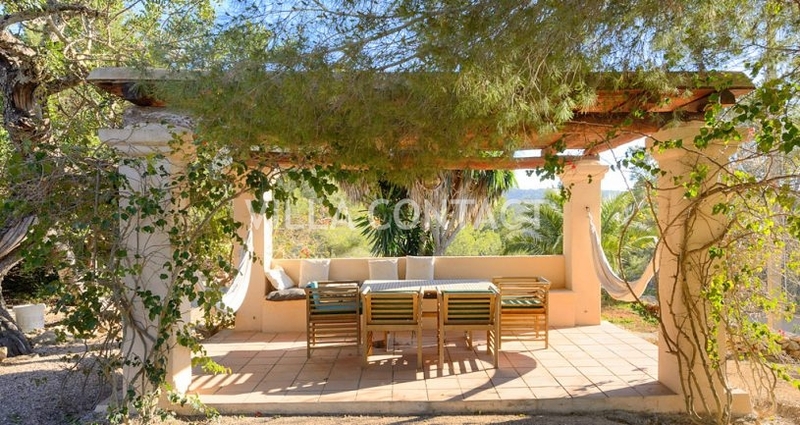 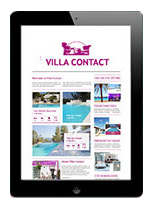 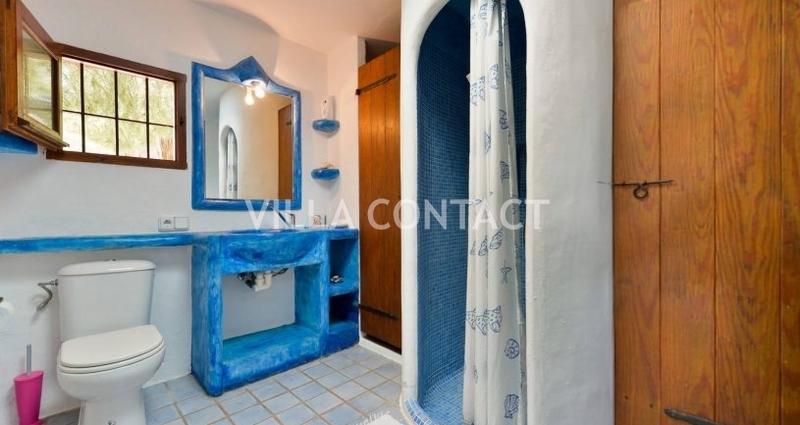 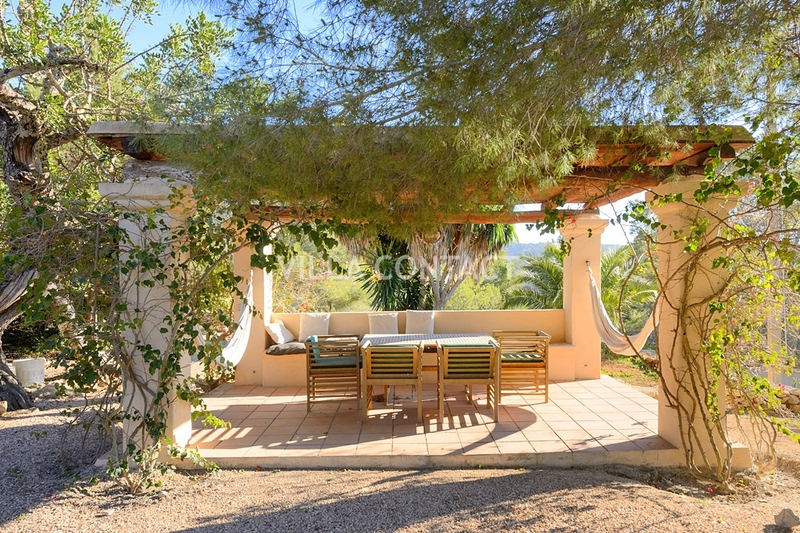 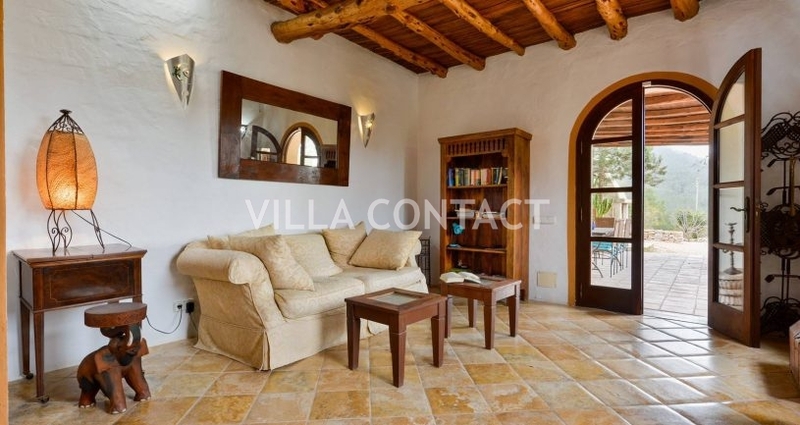 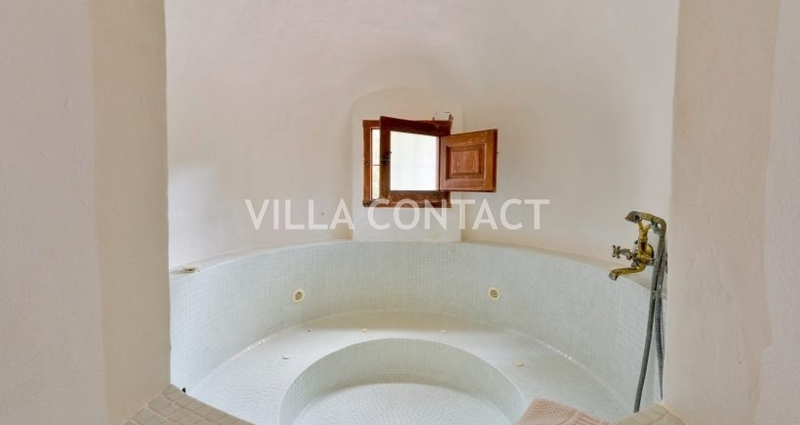 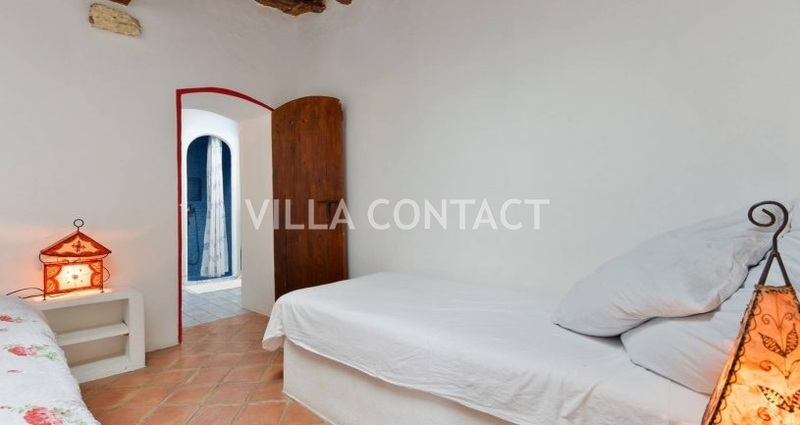 The property enjoys a fantastic Mediterranean garden with a very large swimming pool, lots of fruits trees and palms, a covered chill out, a covered dining area outdoors and parking for 5 cars. 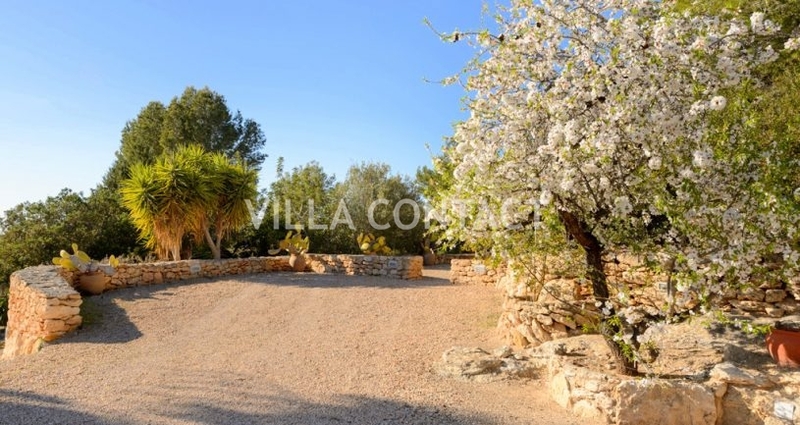 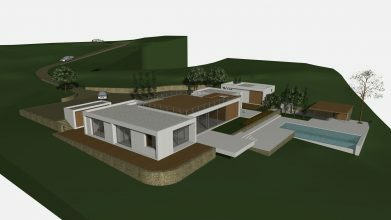 This is an ideal family home for all year around living or for the summer months. 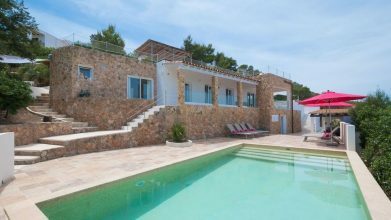 A real Ibiza style gem!